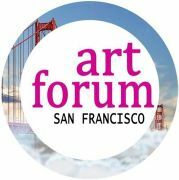 San Francisco Art Forum is an open resource for SF Bay Area visual artists. Connect with innovative art professionals, art enthusiasts and possible buyers. We promote local and national artists' body of work through our social media channels and industry connections. We provide educational resources and host social media+tech events with art & visuals emphasis in the San Francisco Bay Area. Services include: educational tools (arts & tech), crowd funding resources and publicity. For artist representation, publicity, speaking or sponsorship opportunities and media relations > contact us. San Francisco Art Forum is the ART INITIATIVE of SFFAMA, Inc., a 501c3 non-profit corporation.